Many people want to improve their home by tiling their kitchen, bathroom or outdoor area, however think that the task requires little preparation. This means cutting corners and in turn, sacrificing quality. Look out for dodgy DIY jobs if you’re looking at a new house, or if you’re wanting to undertake this task yourself, learn from these mistakes before you begin. Planning is essential. Preparing your surface is an important step as there needs to be a clean and smooth surface for tiles to be laid. Be sure to remove any coatings prior to tiling. The proper preparation of the surface will make the fixing easier and quicker ensuring a better finish. If laying floor tiles, according to the Australian Tile Council, the surface should be flat with a tolerance of 4mm over a distance of 2 metres. It is essential that you waterproof wet areas prior to tiling. The Australian Tile Council provides consumers with the information necessary to make informed decisions about who measures, supplies and fixes the tiles for any tiling job. Grout should be spread evenly and slowly using a support tool such as a squeegee. If you spread the grout too quickly over a large area before laying your tiles, the grout may dry out in some areas, meaning uneven tiling. It’s important to remove excess grout immediately after laying each tile as this becomes harder to do once it has dried. Especially true for those that have never tiled before. It’s unlikely that the job will be perfect. 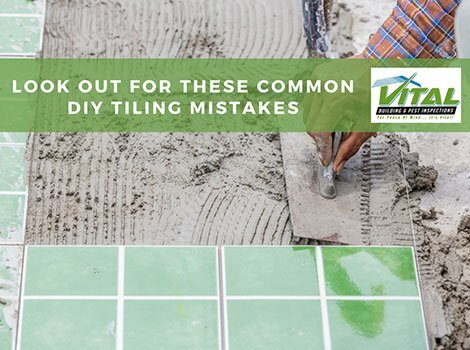 You will probably end up with a few mistakes so it’s important to have a fresh eye to look over your tiling results within the first 6-12 hours. The faster you spot problems, the easier it is to fix them. A misplaced tile identified more than 24 hours after tiling can be quite difficult to fix as the grout will already have hardened making it near impossible to repair. Some amateur tilers buy the exact number of tiles for the area they want to cover. While this may seem like the right thing to do, it’s often better to get 10% more tiles than the minimum to account for breakages, miscalculations and difficulties in cutting. This also allows for the replacement of cracked tiles in the future. Keep this in mind when purchasing. If the gap between the bottom row of tiles and the bath top is not sealed properly, it leaves it exposed for water to leak into it, so it is recommended to fill the bath first before using the sealant. It’s crucial to waterproof before tiling in wet areas and remember to properly seal gaps. Although this is easy to fix, one of the most common problems with amateur tiling jobs is excess grout. It’s easy to spot however may lead you to find other DIY mistakes. While you can look out for these DIY mistakes yourself, they can be easily missed. 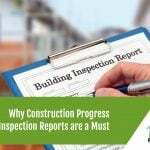 Consider leaving it in the trusty hands (and eyes) of a professional building inspector.